The peace between faction did not last long on The Originals Season 1 Episode 18. Marcel send some compelled guests to crash a party in honor of the witches. 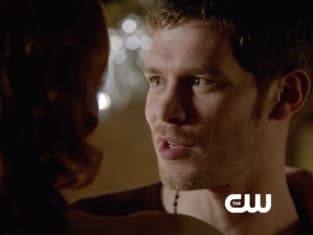 Klaus angered Genevieve. Elijsh killed Thierry. And Hayley approved of any plan that helped the werewolves gain control of the Quarter. Monique, meanwhile, threatened Genevieve with her sacrifice, only to reveal a scary message from the ancient witches instead at the close of the hour. Where will these machinations and developments take character and viewers in the weeks ahead? We'll need to wait and see.